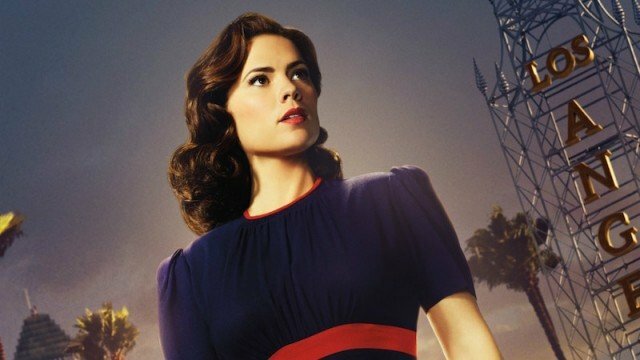 I can sense the cries of outrage already and frankly, it makes no difference to me whether you agree or disagree because in my mind, nothing deters my belief that season two of Agent Carter was the greatest achievement in superhero television this past year (so far) – much to my surprise and delight as a fan of the character. Why? Well, because it mastered the TV superhero enemy: tone. Yes, tone. For all of the fight choreography that Netflix’s Daredevil boasts or the awesome well of villain canon that Gotham can dip into, these shows can’t be true successes if they don’t nail down what tone they want their series to have, and nearly all of these comic based shows have dealt with this problem, even the ones that I loved. The Flash still manages to come the closest, and while it soared in moments of levity or in moments of cathartic grief, it came to a screeching halt whenever it dabbled in “darker” elements. Similarly, Arrow began its fourth season with a sense of starting anew with more humor and a lighter touch, but quickly unraveled and became the same dragging, monotonous series it was in season three. DC’s Legends of Tomorrow, meanwhile, would have been better suited if they’d stuck solely to the campy atmosphere (more of the Captain Cold, less of the Hawkgirl model), and Gotham has never been able to pick what type of mood it’s going for, jumping from over the top crime thriller, to neo noir, procedural drama to silly superheroics. The Marvel side isn’t much better in that regard either, aside from AKA Jessica Jones. Daredevil suffers for how dreary it can be, while Agents of S.H.I.E.L.D. doesn’t so much have a tone problem as it has a charisma problem; bland and superficial, the show would benefit from any tone at all. It would have been simple for the show to rest solely on the (slightly drab) style that they had utilized in the first season since it had been serviceable enough, adopting the Agents of S.H.I.E.L.D. mentality that fans will watch anything with a Marvel sticker slapped on it. It would have been to the utmost detriment to the series though had that been the case. 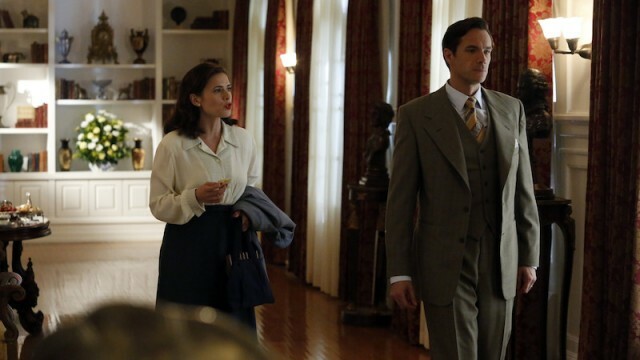 Giving Agent Carter a distinct voice outside of Peggy’s own allowed for the show to expand on its stylish by default nature of its debut season all the while keeping in tune with what fans had already grown to know and love about it. While I doubt the new location aided in bringing in new viewers (though it baffles me that it wouldn’t), it made the fans who had stuck around all the more excited to be along for the ride. This style is established from the very opening minutes of the season, as a woman with a red hat walks through a crowd of men, standing out against all the blues and blacks of their suits. Of course, this is a callback to the season one opening, but it, plus the highly stylized fight sequence that follows between Peggy and big bad Dottie, confirms that season two was going to breathe fresh air not just into the series but into the genre as a whole.